If you ever wanted to fly on the biggest plane in the sky, you’re out of luck. 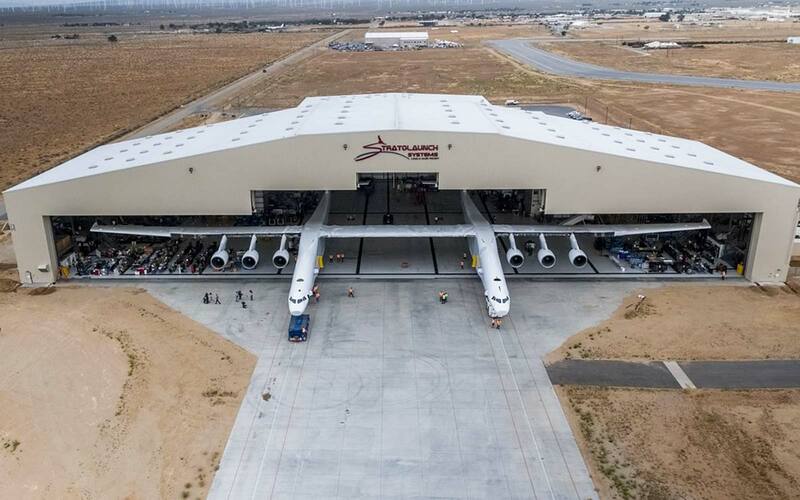 Stratolaunch, a company founded by Microsoft co-founder Paul Allen, just unleashed the world’s largest airplane on Wednesday. The aircraft, however, is built for releasing rockets that will carry satellites into space, not carrying passengers. Stratolaunch’s aircraft has a 385-foot wingspan, featuring six engines typically used by the Boeing 747, and stands 50 feet tall. 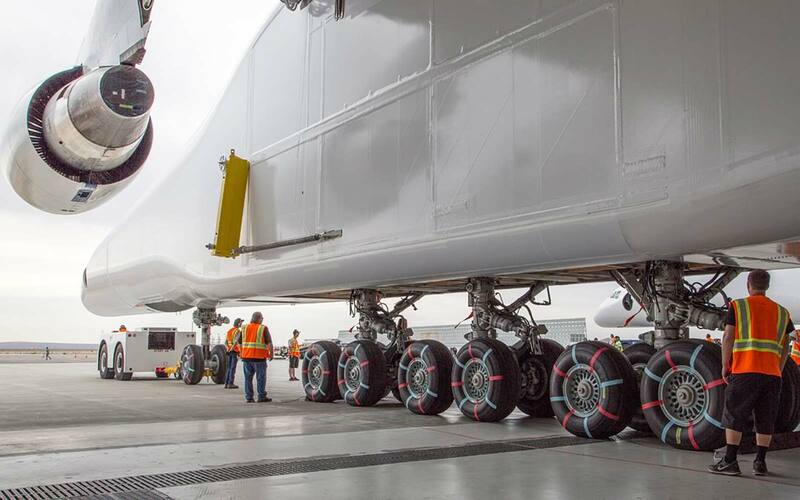 Unfueled, it weighs 500,000 pounds, and can carry 250,000 pounds of fuel. Its total weight can reach 1.3 million pounds. 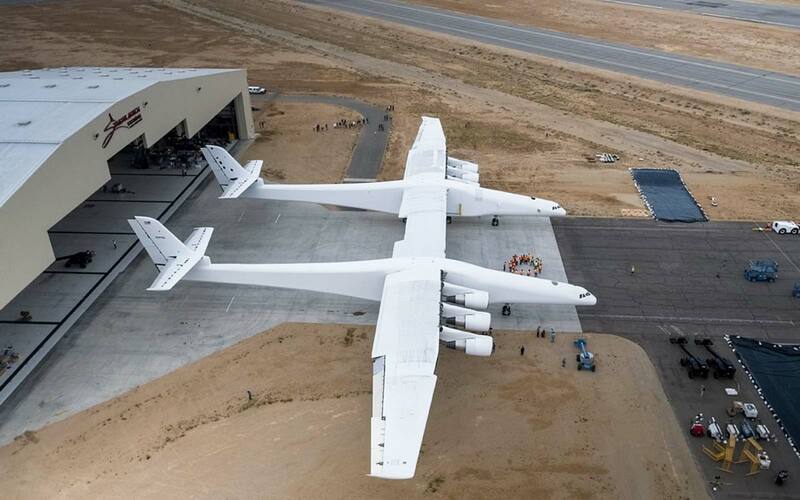 Stratolaunch’s plane breaks Howard Hughes’ previous record for having the plane with the largest wingspan. His “Spruce Goose” measured a mere 320 feet. As for the largest aircraft in use today, the Stratolaunch also bests the Antonov An-225's 290-foot wingspan, and the largest passenger aircraft, the A380, which has a wingspan of 262 feet. Over the coming weeks and months, we'll be actively conducting ground and flight line testing at the Mojave Air and Space Port. This is a first-of-its-kind aircraft, so we're going to be diligent throughout testing and continue to prioritize the safety of our pilots, crew and staff,” said Jean Floyd, Stratolaunch's chief executive officer in a statement. According to the Washington Post, Stratolaunch is partnering with Orbital ATK to “air launch” the Pegasus XL, “a rocket capable of delivering small satellites, weighing as much as 1,000 pounds, to orbit.” The rocket is attached to the belly of the plane, which is dropped once the plane reaches about 35,000 feet. “With aircraft-like operations, our reusable launch platform will significantly reduce the long wait times traditionally experienced between the construction of a satellite and the opportunity to launch it into space,” Allen wrote in a post on LinkedIn. The concept of launching satellites from low-Earth orbit could greatly reduce the costs of space travel and bringing the Internet to the entire globe, as well as other possibilities for technological improvements. Jeff Bezos, the Amazon CEO, and Elon Musk, the Tesla and SpaceX CEO are also well-known business moguls who are interested in space and technological innovations. Stratolaunch hopes to have a launch demonstration as early as 2019, according to CNN.